Karnataka State Tourism Department (KSTDC) has announced special offers on the Golden Chariot train for the festive season of Dasara or Dussehra. Dusshera is one of the major festivals in Karnataka and tourists from around the globe gather to witness the celebrations and festivities. 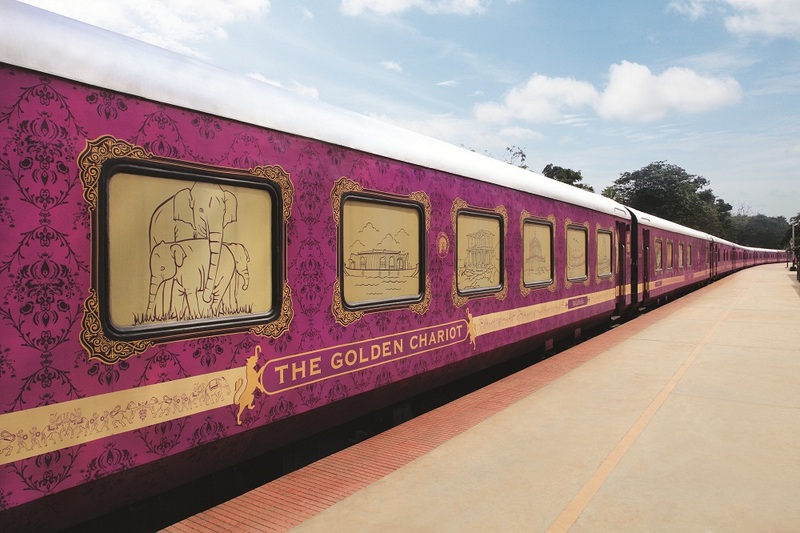 The offer is aimed to woo more guests on board the Golden Chariot, the only luxury train operating in South India. The offer whose details are yet to be disclosed will be applicable on bookings in October. The schedule for the Golden Chariot departures are 7th, 14th and 28th (Pride of the South) and October 21st (Southern Splendor). The Golden Chariot combines the best of traditional and contemporary manifest in its traditional interior décor imbibing elements of Mysore and Hoyasala art whereas the cabins are equipped with state of the art amenities. The overall effect is a seamless fusion of past and present. The cabins are tastefully designed and equipped with modern facilities like Wi-FI, individual climate control, channel music, live television and guest rooms equipped with attached bath. The train also features conference car, sitting lounge, multi-cuisine dining facilities, bar, health spa, etc. The Golden Chariot has two journeys and both are about 8 days and 7 nights. Some of the major destinations covered in the itinerary are Bangalore, Mysore, Kabini, Goa, Chennai, Hampi, Pondicherry, Pattadkal, Badami and Kerala Backwaters.